If I buy LightSpace XPT, and I use it to calibrate multiple monitors that DON'T have LUT import capability (for example notebook displays), I would need to create ICC profiles for them, right? Do I need Spaceman ICC or DCM to manage and load the ICC profiles on EACH PC? I've read that ICC profile management doesn't always work consistently with Windows. For example you can get windows to apply the ICC and you can see that the profile is applied, but then every time you reboot you lose it and have to go into settings to re-apply it. I'm put off by the idea that I have to pay $50 or more for a license for EVERY computer / monitor I calibrate where I need to make sure the ICC profile is applied correctly to EACH calibrated system. As per the website, ICC profiles have different uses, and different 'components' from any given ICC are often applied in different ways. For example. Graphics Cards ONLY use the VCGT component - which is a just a 1D LUT, so ONLY affects the grey scale/white point. It in no way manages the gamut/saturation (colour). So, SpaceMatch DCM 'just' manages the VCGT, nothing else. With SpaceMan ICC, you can generate ICC profiles from any given 3D LUT, and that ICC can be used by systems/graphics programs that are ICC compliant. The way different systems/programs use ICC is down to those systems/programs. And Windows for example has no system-wide ICC capability. Mac is 'supposed' to have a system-wide ICC capability, but often users report strange/inaccurate behaviour. All the above is why we really do not suggest the use of ICCs for 'Display Calibration', unless you really know and understand their operation inside-out. Is this sort of thing achievable with Lightspace or Spaceman? In this review of the Asus PG27UQ (a recently released 4K/HDR gaming monitor @ ~$2,000), the reviewer states that he tested and "calibrated" the monitor with Lacie Blue Eye Pro!!!! As said, there is no 'System Wide' ICC application for Windows. Only the VCGT (which can be part of the ICC) is system wide, but is only a 1D LUT, so ONLY affects the grey scale/white point. 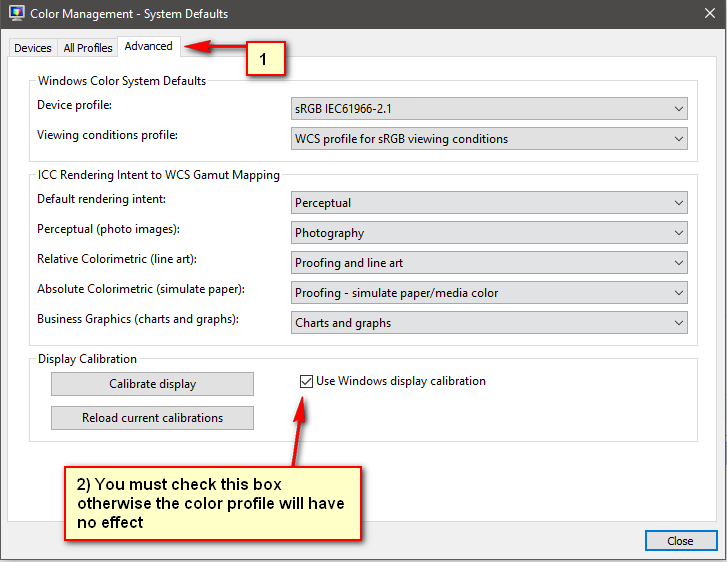 When you open Photoshop, that will use the full ICC profile as it is n ICC aware program, so will manage Gamut. See: https://www.lightillusion.com/spaceman_manual.html to see a method for using ICCs with Photoshop. The CLCalibrationLoader is basically loading the VCGT into the graphics card, just as SpaceMatch DCM does. Exact the same as Calman Client 3. As stated, this is just a 1D LUT, and ONLY affects the grey scale/white point. However, some displays do use ICCs within them, matched to the OS ICC, for display calibration. But, such calibration is just a 1D LUT, and 3x3 matrix. They are not 3D LUT based. OK, that helps. But again, I'm kind of put off at having to buy a separate license for each computer to reliably load a 1D LUT. SpaceMatch DCM is over $100! Maybe that old CLCalibrationLoader.exe will work? Again, I understand about the 1D / 3D thing. I will be calibrating monitors with 3D LUTs. But I'm trying to understand what my options are for calibrating displays where the only capability is 1D / ICC (again, like notebook or most consumer monitors). SpaceMatch DCM is used to load the VCGT without the need for ICCs. As said, ICCs can be a real pain (and unreliable) to use, especially if you do not understand them inside-out. The price is for one license. We offer good discounts for multiple license requirements. And if purchasing with LightSpace CMS, the price comes down dramatically. But, any display that has no 3D LUT calibration capability (either directly, or via a LUT box or graphics software LUT management) is extremely difficult to calibrate accurately, and manage that calibration, as you have found.